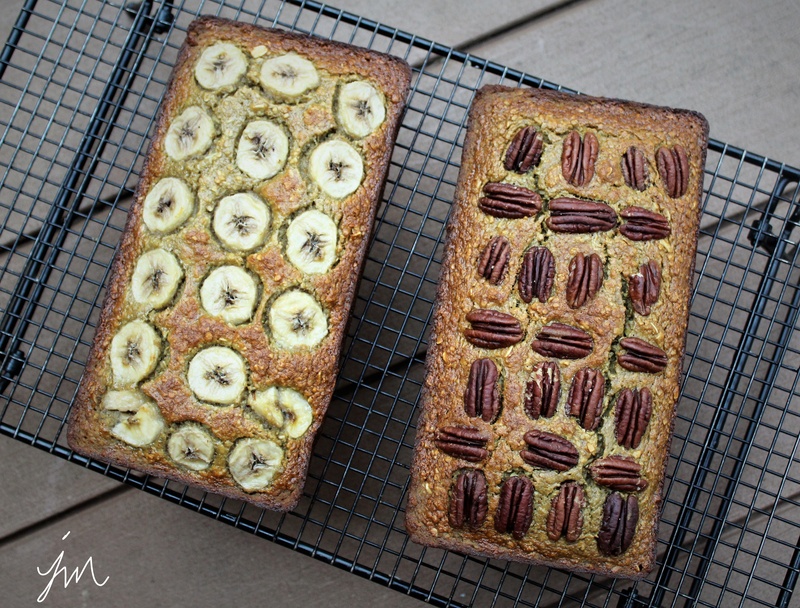 Gluten-Free (Flourless) Banana Oatmeal Bread. When you have a bunch of bananas that ripen before you eat them – and you know nobody will eat them – they are perfect for baking. 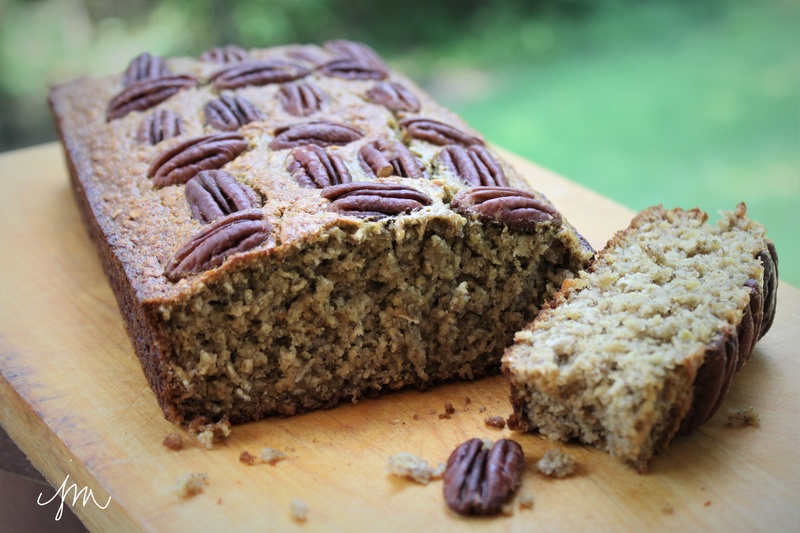 I have a really yummy banana bread recipe, but it is not the “healthiest.” I decided I wanted to make something with less (or no) sugar, and maybe no flour either. 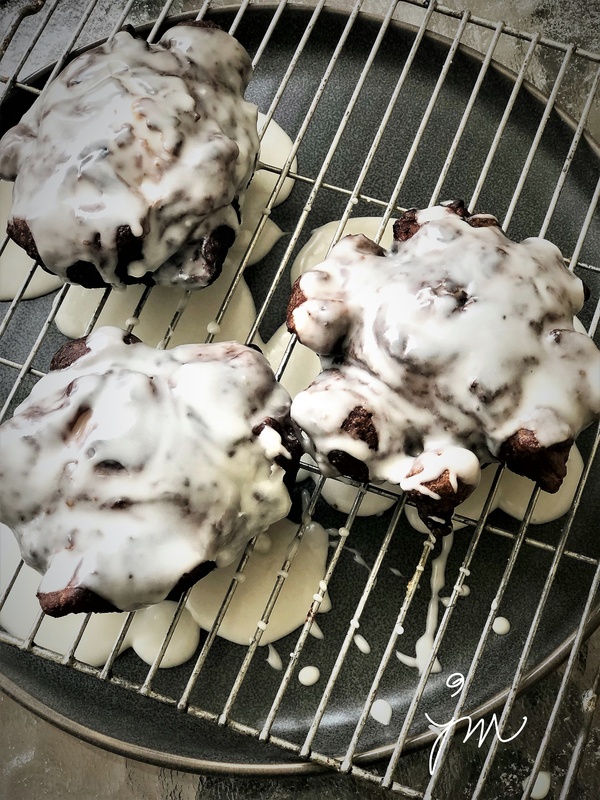 I was excited when I found this super-easy and oh so yummy recipe at The Baker Mama. It’s been very hot here, so I baked this early on a Sunday morning. I made one loaf for my youngest son and his wife (my son loves banana bread and my daughter-in-law likes to eat healthy and gluten-free if possible) and one loaf for hubby and me. My son mentioned that if I added some protein powder to the recipe, it would be the perfect breakfast. I will have to try that next time. 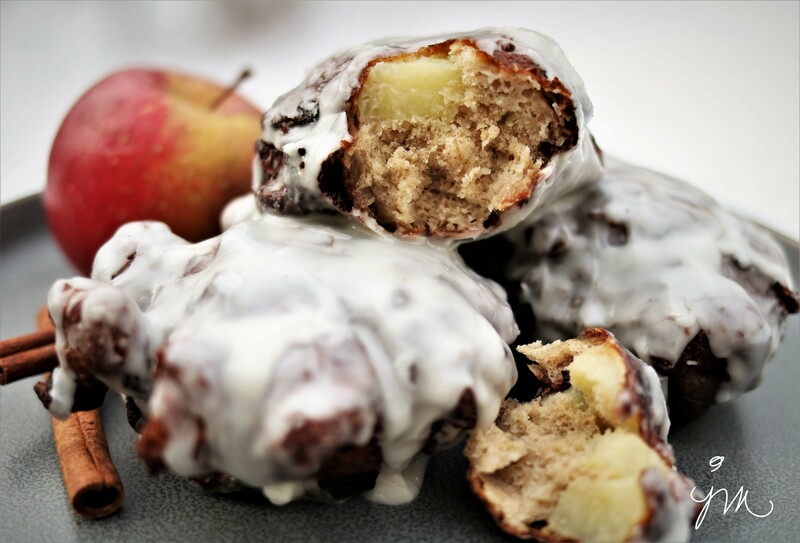 But how simple is this recipe with five healthy, wholesome ingredients?! Preheat oven to 350°F. 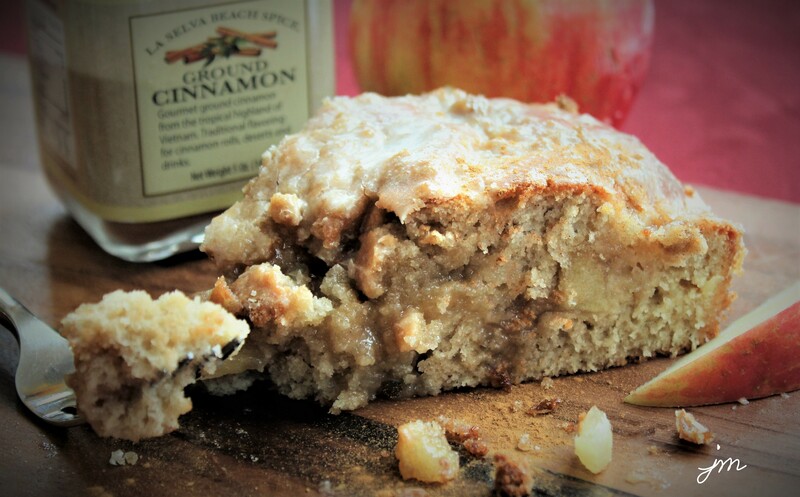 Lightly grease 9×5-inch loaf pan with non-stick cooking spray. Combine all ingredients in a food processor or blender and blend until smooth and well combined. Pour into prepared loaf pan. 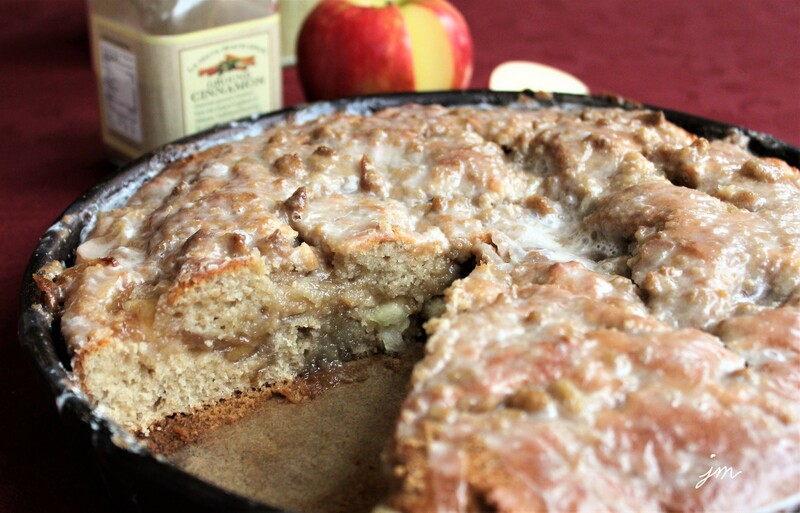 Garnish the top of the batter with thinly sliced bananas or pecans or walnuts, if desired). Bake for 25-30 minutes or until a toothpick inserted in the center comes out clean. Do not overbake or bread will be dry tasting. 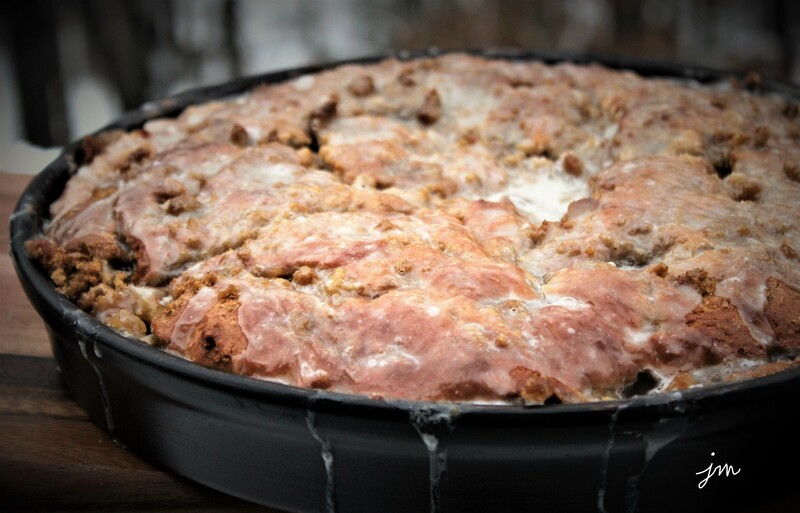 Sour Cream Pecan Coffee Cake. I’ve been meaning to share this recipe for quite some time. 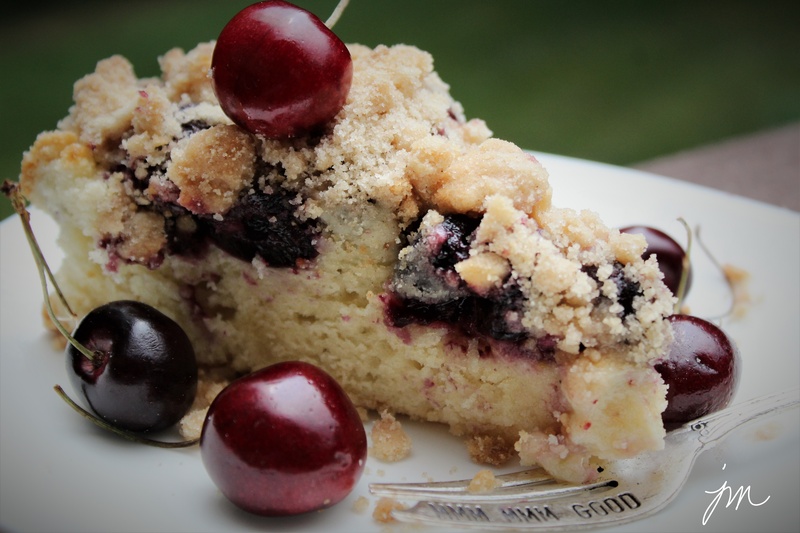 It is my most favorite coffee cake recipe to date. 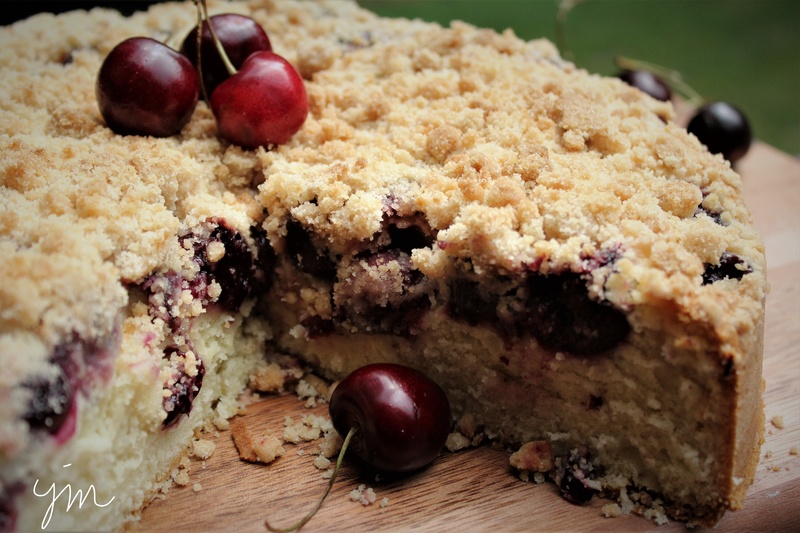 I can pass on a brownie or a chocolate chip cookie, but put a piece of coffee cake in front of me………. and forget it! I can’t resist. This recipe was shared with me from a super sweet guy I used to work with. His aunt makes it for him every year for his birthday – at his request – and he was always kind enough to bring it to the office to share. The recipe card Steve copied to share with me is dated March, 1969. Almost as old as me! It’s a classic, and it’s definitely a keeper! 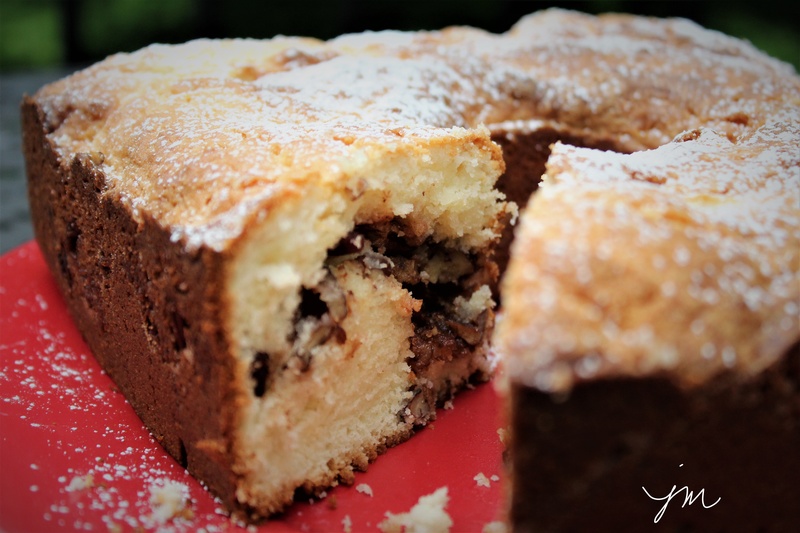 The crunchy ribbon of cinnamony pecans that runs through the middle of this buttery, tender cake seals the deal! Preheat oven to 375 degrees F. Grease and flour 9″ tube pan. Cream butter and 2 cups sugar until light and fluffy. Beat in eggs one at a time. Fold in vanilla and sour cream. 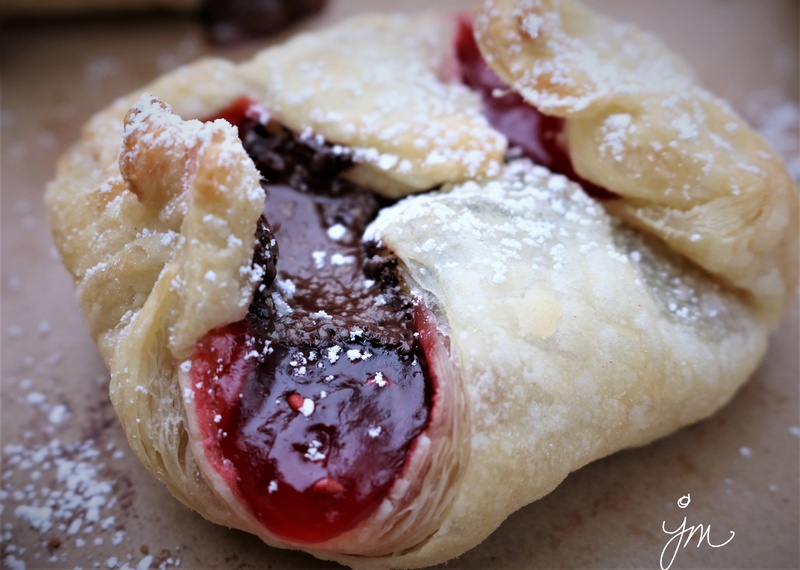 Fold in baking powder, salt, and flour. Combine remaining 4 Tbsp sugar, with chopped pecans and cinnamon. Place half of batter in tube pan. Sprinkle with nut mixture. Top with remaining batter. I had a friend come over Saturday morning. HOORAY! Excuse to bake something yummy. I surely couldn’t know someone is coming and not have something freshly baked to share if I could help it. Right? 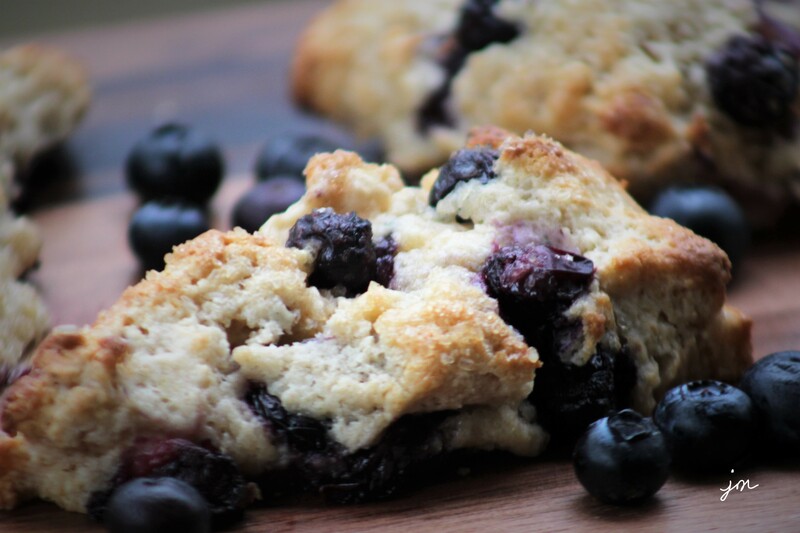 It was so good to catch up with this friend I haven’t seen in a while – munching on these tender, buttery, lightly sweet biscuits bursting with tart blueberries and sipping on Cinnamon Dolce coffee with Italian Sweet Cream. Sometimes it takes a guest to make us sit back and relax and truly appreciate our home. My friend asked me how I ever get anything done with the beautiful view and comfy surroundings? I need to quit apologizing for the carpet that needs replaced or the walls that need a fresh coat of paint or the old “stuff” I have. The greatest compliment I receive is when someone tells me they feel completely comfortable and relaxed and welcome in my home. That could not be truer for me. A house is made of wood and nails, but a home is made with love and family and friends. 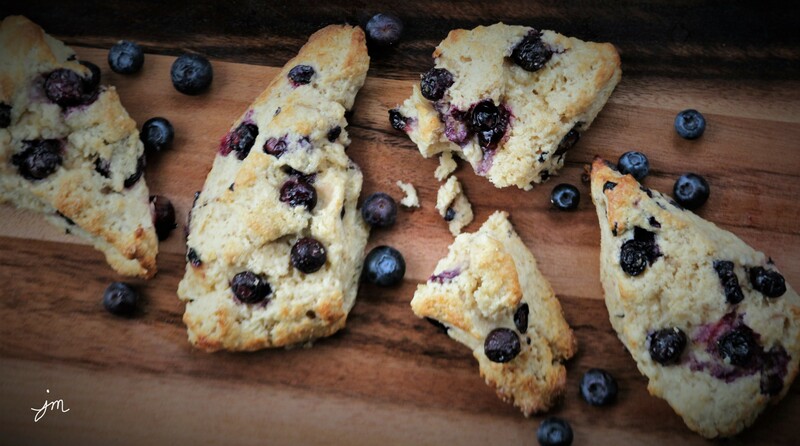 And maybe fresh Blueberry Scones! In a large bowl, mix together flour, sugar, baking powder, salt, and cinnamon. Cut butter into small cubes and cut into dry ingredients with a pastry blender until coarse crumbs are formed. Pour in vanilla and buttermilk, and mix with pastry blender just until incorporated. 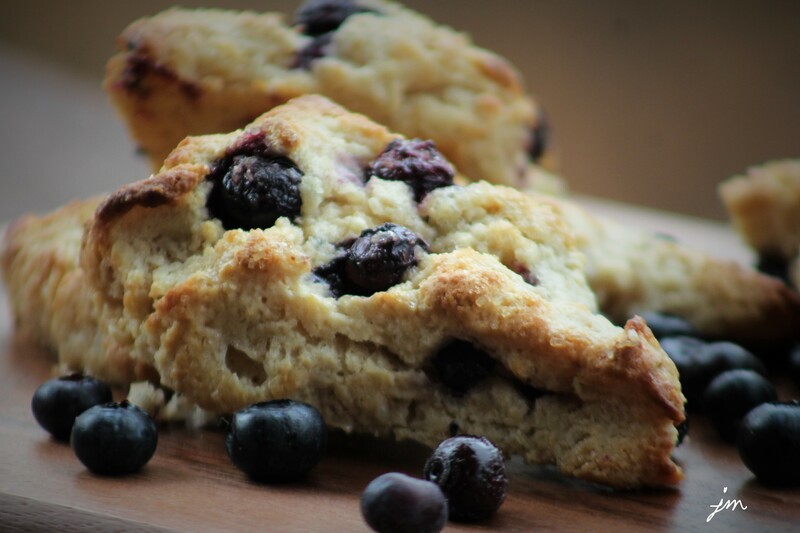 Dump dough onto counter, gently incorporate blueberries into dough, and gently shape into a 15″ x 3″ rectangle. Cut dough in half, then each half in half, then each quarter in half, so that you have 8 rectangles. Cut each rectangle on the diagonal to form 16 triangular shaped scones. Place on backing stone or cookie sheet, brush with some milk or water, and sprinkle with coarse raw sugar. Bake at 400 degrees F for 10-15 minutes. Cool for a few minutes on stone or cookie sheet, then remove to cooling rack to cool completely. 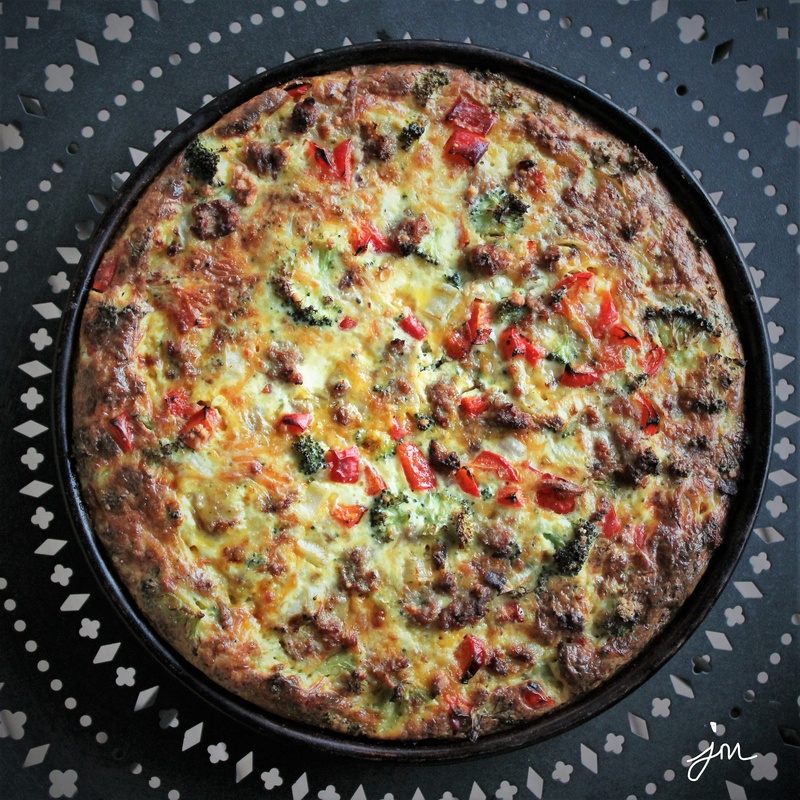 Easy Sausage and Vegetable Quiche. For those days when you want a hearty, substantial supper, but don’t feel like putting a lot of time and effort into it, this simple recipe is just the ticket. 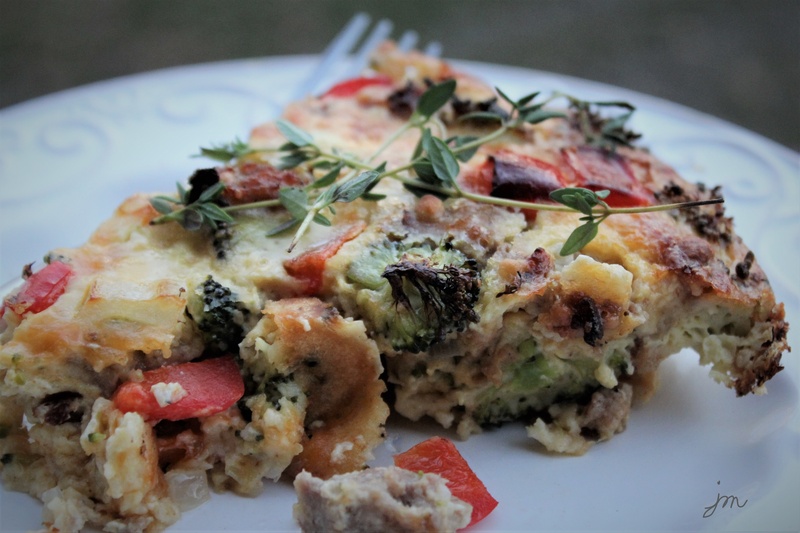 It’s full of protein and veggies and could really be eaten for breakfast, lunch or dinner! The secret to it being easy is in the fact that you don’t have to prepare a crust. 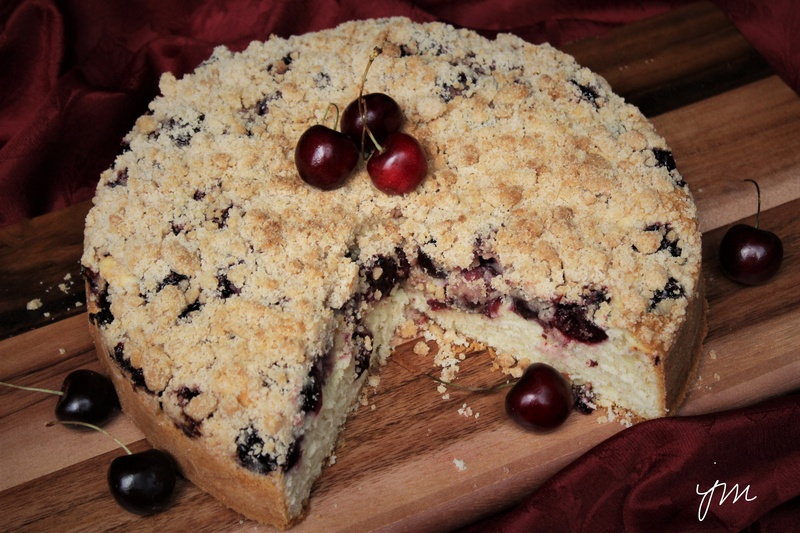 You simply use a little bit of baking mix (like Biquick) to create an almost crust-like texture. And the options are limitless for what you can put in for your protein and veggies. Exchange the sausage for bacon or chicken or turkey or ground beef. You could even leave the meat out and just add more veggies. Throw in any favorite vegetables you have in your fridge – mushrooms, asparagus, cauliflower, spinach, kale, tomatoes….. And use any kind of cheese you love. Exchange the cheddar for Swiss or muenster or provolone or mozzarella or even blue cheese or feta. You get the idea… right? Toss in whatever you like, and you can have a wide variety of quick and easy meals. 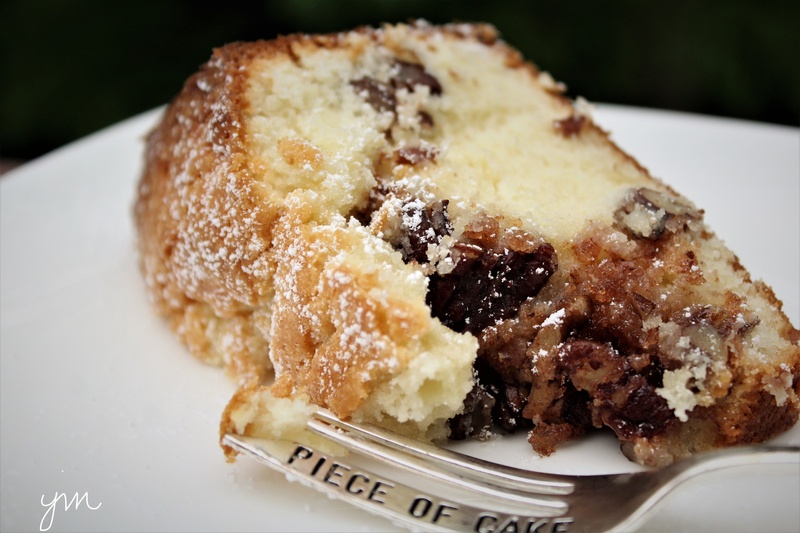 I was recently reminded of this recipe when I came across a version of it at The Speckled Pumpkin. 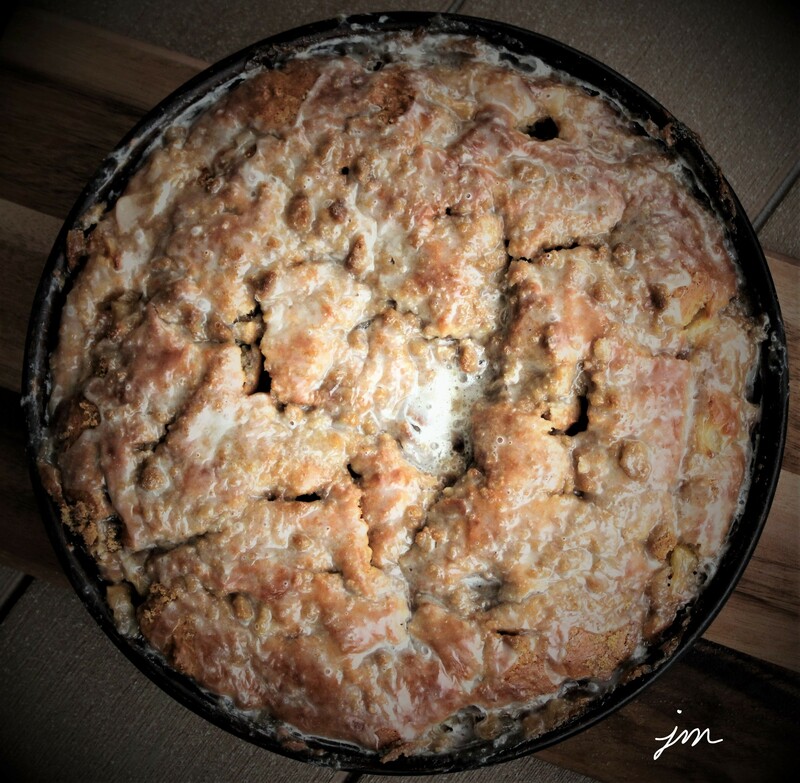 It reminded me of years ago making all of those “impossible” pies…. Impossible Cheeseburger Pie, Impossible Taco Pie, Impossible Lasagna Pie, Impossible Tuna Pie…. Anybody else remember the Impossible Pie craze? I may be back in the mood for these! 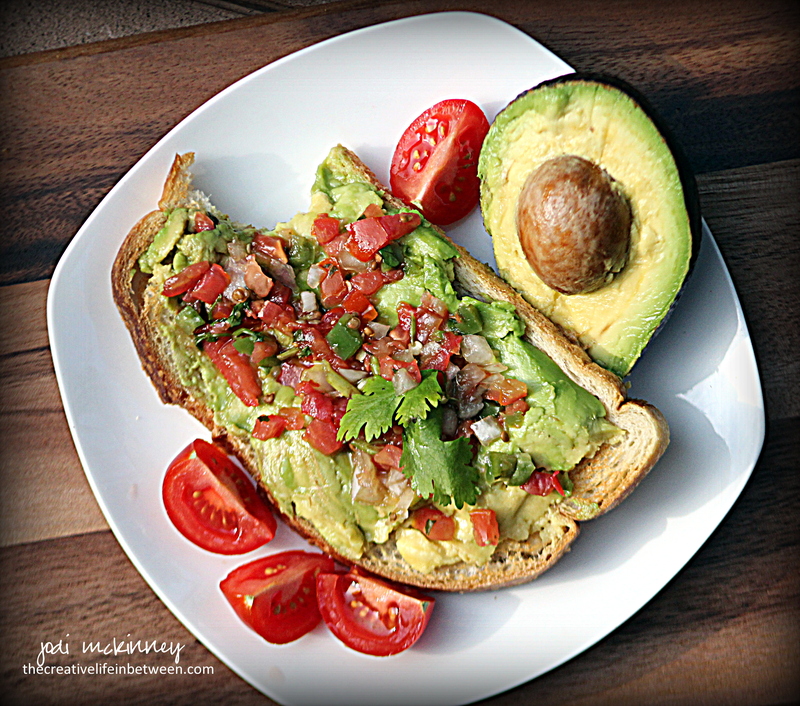 Serve it with a salad or side of roasted potatoes or even some chunky applesauce. Here is how I made mine for our Sunday Supper last night. Put sausage in bottom of stoneware deep dish baker or your favorite 2-quart round casserole dish or deep dish pie pan. 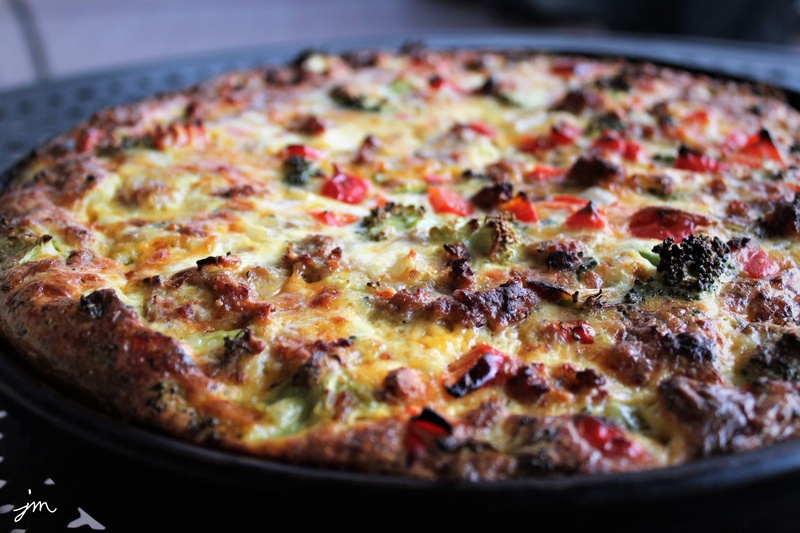 Top with chopped onions, pepper, broccoli, and cheese. In a medium bowl, beat the eggs, milk and baking mix with a wire whisk until well blended. Pour over sausage, veggies and cheese. Bake for approximately 40 minutes until knife inserted in center comes out clean. 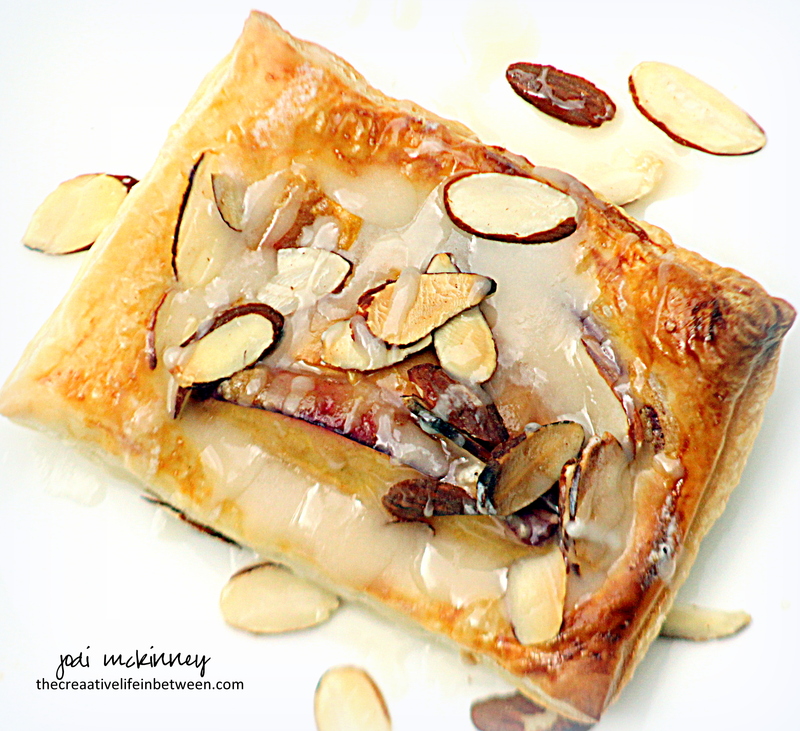 Quick and Easy Peach Puff Pastry Tartlets. This Sunday, we had the family over for dinner. Hubby made the most amazing BBQ spare ribs, which we served with grilled sweet corn on the cob, cowboy baked beans and a caprese salad. A fresh peach dessert seemed the perfect ending for this BBQ, but I didn’t feel like fussing much. 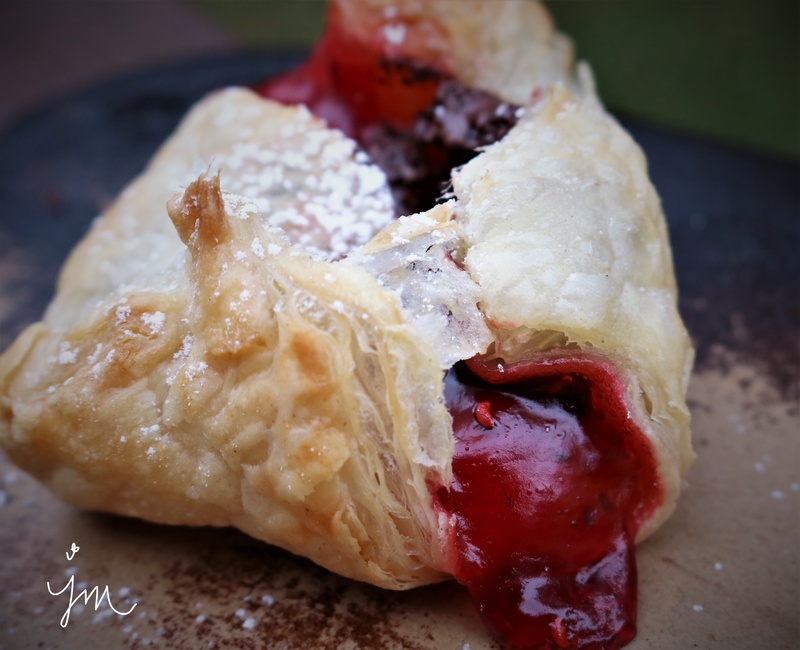 Knowing I had a package of puff pastry in the freezer, I quickly googled “peaches and puff pastry” and found this wonderful recipe at Natasha’s Kitchen. These only took about 10 minutes to throw together and 15 minutes to bake for a beautiful and super delicious dessert. Well – at least that is what I hear…. You’ll have to take my family’s word for how delish they were as I didn’t get to try one. They’re gone (which is always a good sign). When your sons ask for a second (or a third), you happily feed them and drink a glass of wine instead <wink>! 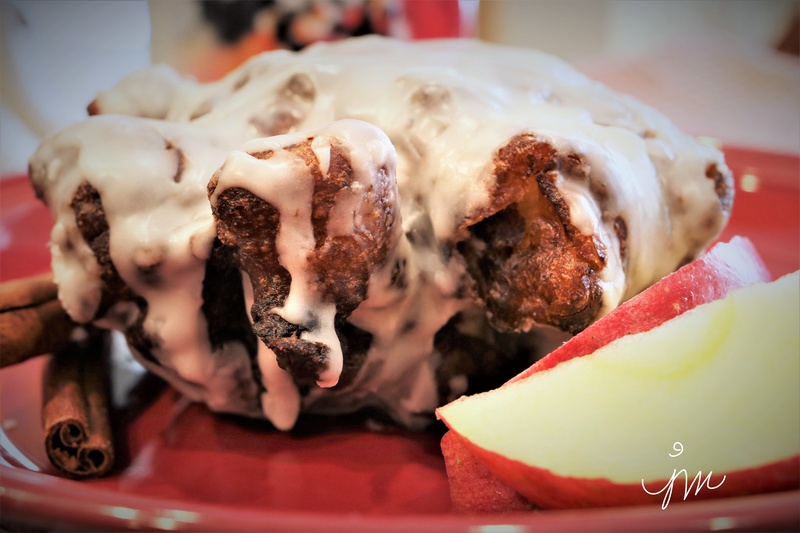 I can make these anytime I want again, but feeding my guys and daughter-in-laws and granddaughter and a bestie – – – seeing smiles, hearing yums, and getting hugs – – – well – that’s all this momma needs. I’m pretty sure I’ll be making these again! I’m betting sliced apples and walnuts would be a wonderful Autumn version as well as loads of other fruit and nut combinations. Here’s Natasha’s recipe as I made it. 1 sheet of frozen puff pastry, thawed 20-30 mins. 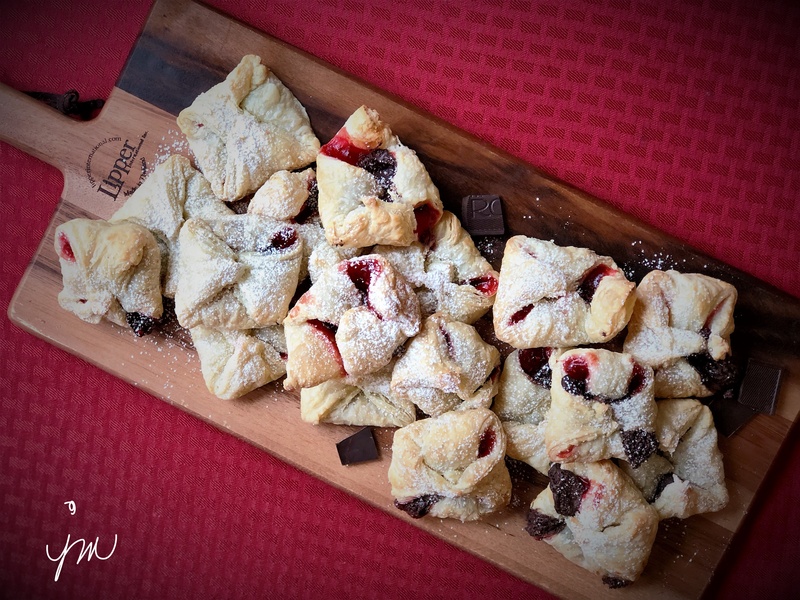 Cut thawed puff pastry into 9 equal sized squares and place on parchment lined baking sheet or baking stone. Slice peaches and place in a medium mixing bowl. Sprinkle with sugar, flour, cinnamon, and vanilla. Gently fold together. 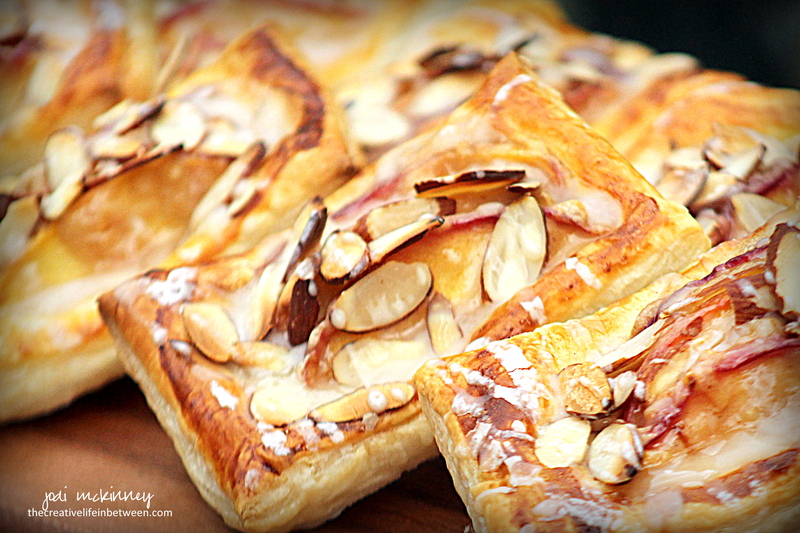 Place 3 -4 peach slices in the center of each pastry square. 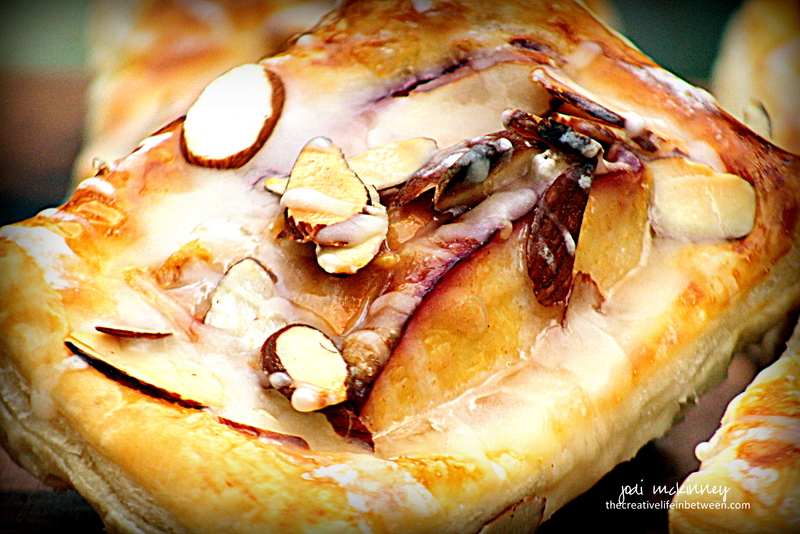 Avoid getting peach juice on pastry edges. Brush edges generously with beaten egg. 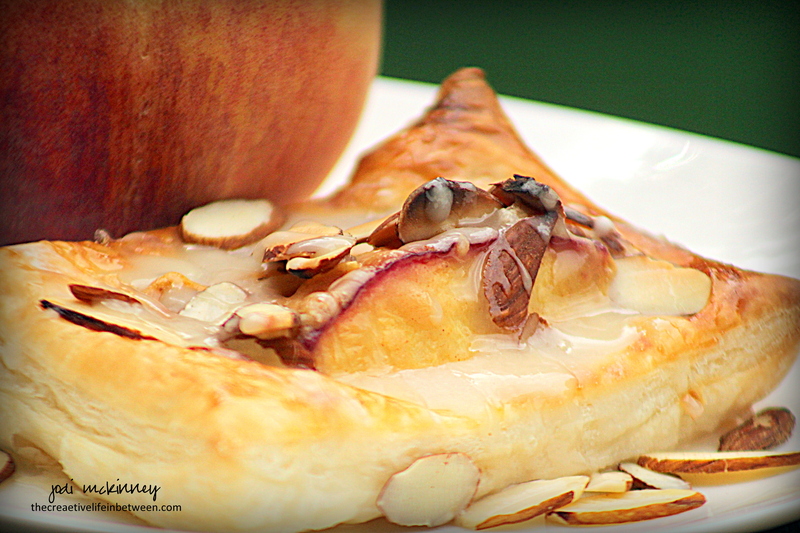 Sprinkle sliced almonds over pastry and peaches. Bake at 400˚F for 15-18 minutes or until puffed and golden on the edges. Remove from oven and let cool on baking sheet for 10 minutes. 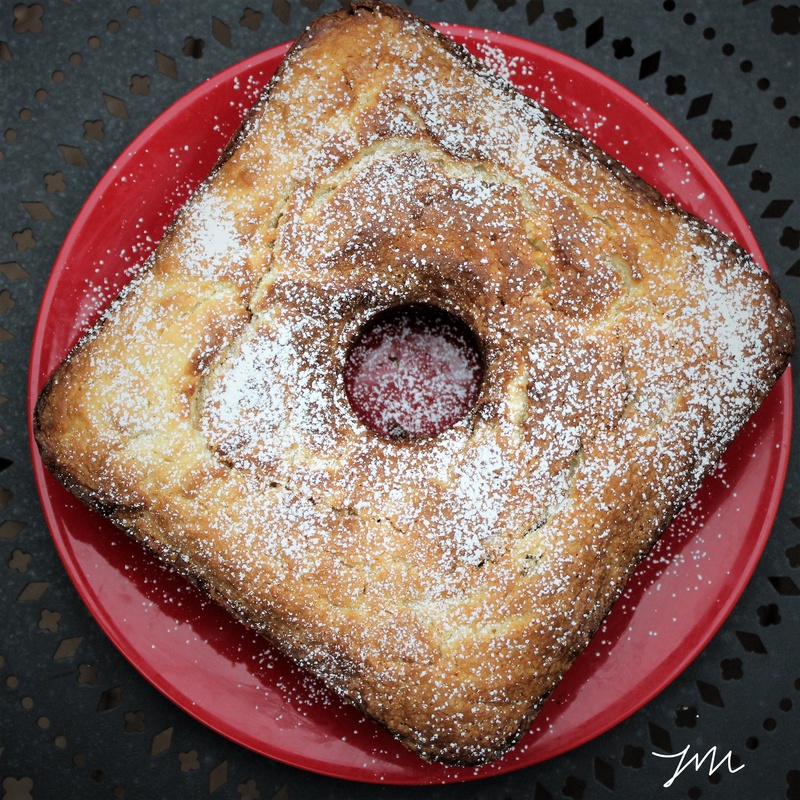 While cooling, make the glaze by stirring together powdered sugar, vanilla and milk in a small bowl or measuring cup. Add more milk if needed to reach desired consistency. Drizzle over cooled tartlets.